DCTE and the entire teacher preparation community at the University of Delaware would like to thank the following outstanding DCTE team members for their hard work and dedication. Without the energy and efforts of these amazing contributors, DCTE would not be what it is today. With appreciation and admiration, we wish our colleagues all the very best: Laura Glass (NY State Dept. of Education), Deb Fetzer (retired), Linda Zankowsky (Interim Director, ELC) and Barbara VanDornick (retired). DCTE is excited to announce our support of the newly formed Equity Inquiry Group. The group includes faculty and staff members from across the University’s teacher preparation programs and administrative offices. This summer, the group has engaged in reading a common text, Transforming Teacher Evaluation for Social Justice written by Eva Zygmunt and Patricia Clark. Resources for purchasing the book were generously provided by DCTE. The group will function as an organic, grassroots movement to address equity issues related to climate and curriculum. The group is open to any member of the teacher preparation community. The Equity Group is proud that folks from PDCE, DCTE, SOE, Secondary Education, and ECE are already members. It isn’t too late to join! Click here to sign up. The Equity Inquiry Group is one of the initiatives that contributes to the work of the UCTE Diversity, Equity, and Inclusion Committee, chaired by DCTE Senior Associate Director Christine Carrino Gorowara. The committee has put together an Action Plan that aligns to the UD Inclusive Excellence Action Plan for Diversity . The report can be accessed as a Google Doc. Please contact Christine Gorowara for access. Thank you to the following members of the UCTE Diversity Equity and Inclusion Committee for their hard work: Christine Gorowara, Rosalie Rolon-Dow, Kathryn Scantlebury, Nick Bell, Alfinio Flores, and Myae Han. DCTE is THRILLED to welcome Naima Hall as the new Assistant Director of the Office of Clinical Studies. Naima comes to us from Drexel University’s School of Education where she served as the Manager of the Field Placement Office, in which she had primary responsibility for development and operations of the Field Placement Office and all field-based programs. At Drexel, she supervised a team of Field Placement Coordinators who assisted in the arrangement of high quality clinical placements across various levels of preparation programs that required state certification. In addition, Naima collaborated with university faculty and senior leadership for ongoing quality and improvement of the School of Education’s experiential learning experiences and field components. Naima has an extensive background in clinical placement, policy development and establishment of university partnerships. Naima earned both her undergraduate and graduate degrees from Drexel University where she received specialized training in Organizational Leadership and HR Training and Development. During her down time, Naima enjoys being actively involved in her church where she loves singing and leading a women’s ministry, in addition to spending tie with her family. 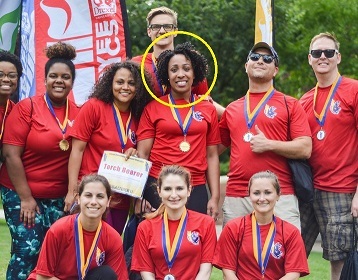 Although one of the most self-proclaimed non-athletic people on the planet, she does occasionally compete on a small dodgeball team alongside her former colleagues. Delaware will no longer require a test of general knowledge (the Praxis Core or SAT/ACT submissions) for licensure. Note that it is still UCTE policy to require passage of Praxis Core or the equivalent prior to student teaching (http://www.ucte.udel.edu/policies/), although UCTE will reconsider this policy in the fall. Delaware will no longer require passage of a performance assessment (edTPA or PPAT) for initial licensure. In order to qualify for a continuing license, however, the initial licensee must pass a performance assessment within the first two years of licensure. Note this change applies to individual licensure, but not to program approval, which is governed by Title 14, Chapter 12, Subchapter VIII.This means that UD must still require passage of a performance assessment in order to confer institutional recommendation, which does not impact a candidate’s ability to graduate with a degree. The ERC has purchased additional video recording equipment to help candidates prepare high quality edTPA and PPAT videos. Along with 6 SWIVLs, we have 3 iOgraphers, a Padcaster, several wireless lavalier microphones, and 3 SWIVL Expand cases. Please inform your candidates about these resources and that instruction on how to use the equipment is available upon request. Please join us in thanking those transitioning off of the council for their years of dedicated service. We would also like to extend a warm note of appreciation and welcome to those remaining or joining UCTE for the 2017-2018 academic year.